I’ve always drank Gatorade or Powerade, etc typically when doing long runs. When I started training for my marathon in the fall, I actually drank A LOT OF IT. I hated the sugary feeling I got from it and it’s made my stomach hurt from time to time. 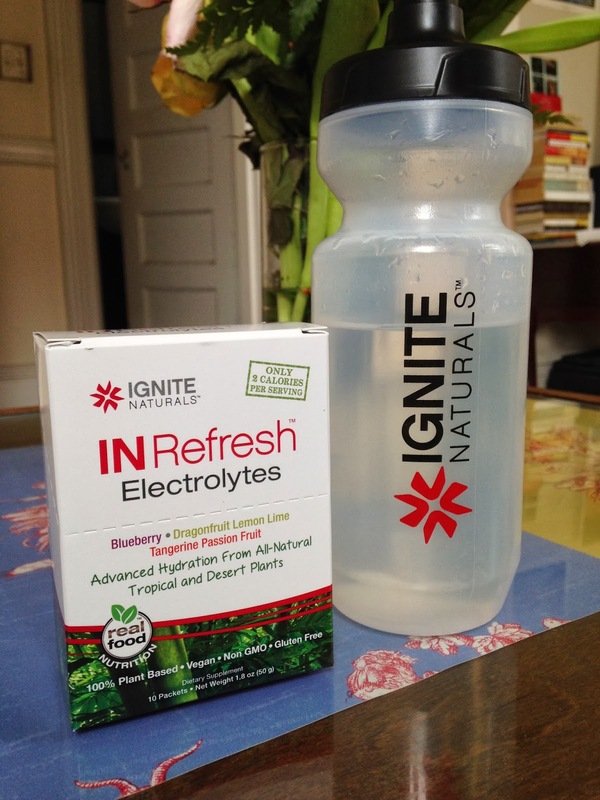 When I got my package of goodies from Ignite Naturals, I was intrigued. How can a sports drink have so little calories? They’re 100% plant based, vegan and gluten free which is perfect for those with dietary restrictions. I’ve had it on treadmill runs (think 3-4 miles) and during a spin class. Because I got this after I ran my half marathon in Miami and haven’t done any long runs outside, I can’t testify on how it works during a long run. Package: You can buy one flavor or various ones. My package had 3 flavors with a set amount in each package, which is great! I tend to not know how to measure out my gatorade mix with my long runs so this was all measured out in pouches to add to my water. Taste: Not as sweet as Gatorade, that being said it’s a 1/10 of the calories. It also tasted like it wouldn’t get me sick (like Gatorade has on occasion). All three flavors are good: blueberry, dragonfruit lemon lime, tangerine, & passion fruit. It’s a nice little kick to my water. Conclusion: I definitely plan on drinking up the rest of the samples I got. They are pretty good. I’d highly recommend this product if you do have dietary restrictions or would like to keep the amount of junk in your body to a minimum when training. NOTE: Ignite Naturals provided me with this product, but I was not compensated for providing a blog post on it.